As winter hits its peak and the amount of ice around Hanover starts to cap for the season, it is time for Dartmouth Winter Carnival. An event that began in 1911, the Winter Carnival is an annual tradition that fills the Dartmouth community with warmth. But let’s hope it stays chilly enough to keep the ice frozen and the snow sculpture growing! 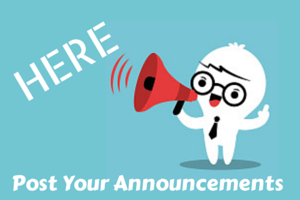 This year’s festival will take place from Thursday, February 5, through Sunday February 8. The event kicks off on Thursday at 7pm with the Opening Ceremonies on the Green. Be there for the torch lighting, courtesy of the Ski Team, an a capella serenade, and the unveiling of the snow sculpture. 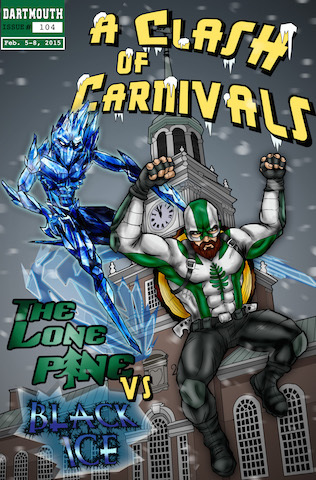 This year’s Winter Carnival theme is “A Clash of Carnivals: Superheroes vs. Villains.” You may have seen posters around town featuring a mean-looking “Black Ice” facing off against the determined “Lone Pine.” Expect a snow sculpture that is chilling and thrilling! After the ceremonies, head to the Top of the Hop for cookies, hot chocolate, and a screening of the film Winter Carnival. Friday is a day for outdoor sports. Many Dartmouth students will head to the Dartmouth Skiway for 99-cent-pass day. Others will enjoy the Cross Country Skiing Super Tour at the Skiway and at Craftsbury in Vermont. The bravest of souls will take the plunge into Occom Pond; the Polar Bear Swim is not for the faint of heart! Witness the Speedo-clad students take the plunge from 10:30am to 1pm. If you prefer indoor sports, you can support the Big Green at the 4pm women’s hockey game, the 5pm co-ed squash meet, and the 7pm women’s basketball game. Saturday, things get even more heated. Watch or take part in the human dogsled races at 2pm on the Green. If you get hungry after romping around in the snow (and you surely will), head to Collis Patio across the street to sample some renowned chili recipes. Phi Delta Alpha runs a fundraiser where anyone can enter their chili into the competition, while the public can sample the different recipes for a small donation. More Dartmouth athletic competitions take place all throughout Saturday and Sunday; find out who’s playing here. A highlight of the carnival is the Ice Sculpting Contest. Twenty groups of students, team members, and locals can sign up to leave their mark on the world of competitive ice sculpting. In fact, teams may have professional sculptors make the first cuts before they start carving. The twinkling finished products are a sight to behold and usually interactive as well. Kids might enjoy sliding down an ice slide or climbing up ice stairs. The statues are outdone only by the mighty snow sculpture that graces the green; it represents weeks of building and shaping, as well as shoveling and piling up mounds of snow. So come one, come all, sporting your best winter villain or superhero attire (make up your own wintery character!). The Dartmouth Winter Carnival is a timeless event for all ages.